MBL develops adults and youth into masterful leaders by enabling the transformative leap from surviving and coping to leading and influencing. arts, meditation and traditional warriorship concepts, optimizing physical, mental and emotional learning to equip people with the awareness, understanding and skill to increase their self-capacity, be a meaningful contributor in their community, and thrive in a rapidly changing world. Customized programs are available for executives, organizations, entrepreneurs and youth groups. 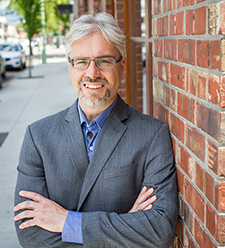 Greg Martin is a senior executive whose work has spanned a wide range of industries including consumer packaged goods, healthcare, adventure tourism, construction, and martial arts. His career has seen a staged progression through the organizational ranks from casual part-time work, to managerial and executive responsibilities including CEO and COO. Passionate about performance improvement and executing successful business strategies, Greg’s purpose is to serve, inspire and empower others. 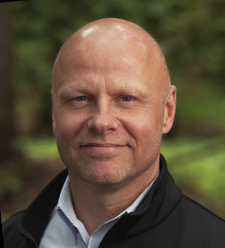 Greg holds an MBA from Royal Roads University and is the founder of Where The Head Goes…Performance Systems, an organization that provides performance consulting and executive coaching. With black belt rankings in Aikido and Okinawan Karate and 20 years experience as a student and instructor, Greg is co-founder and chief instructor at Integrity Arts, a school where leadership is learned through martial arts practice. Instruction is focused on training and techniques that are simple, practical and effective, promoting discipline that develops self-awareness, self-control, and self-leadership. Dan Nesbitt is a professional engineer with over 17 years of experience in product design and project management in the medical device, telecommunications, semiconductor and mobile device industries. His experience includes appointments in the academic sector in brain research at the University of British Columbia and part-time teaching engagements at the British Columbia Institute of Technology. Dan holds B.Eng (University of Victoria) and M.A.Sc. (University of British Columbia) degrees in Electrical Engineering. He is registered as a Professional Engineer with the Association of Professional Engineers and Geoscientists of BC. Dan has accumulated 17 years experience practicing traditional martial arts including Aikido, Karate, Wushu, Wing Chun Kung Fu and Tai Chi. He frequently acts as mentor in community based projects and is a skilled mediator in interpersonal conflicts.